Brown shoes are an essential piece of men's footwear. 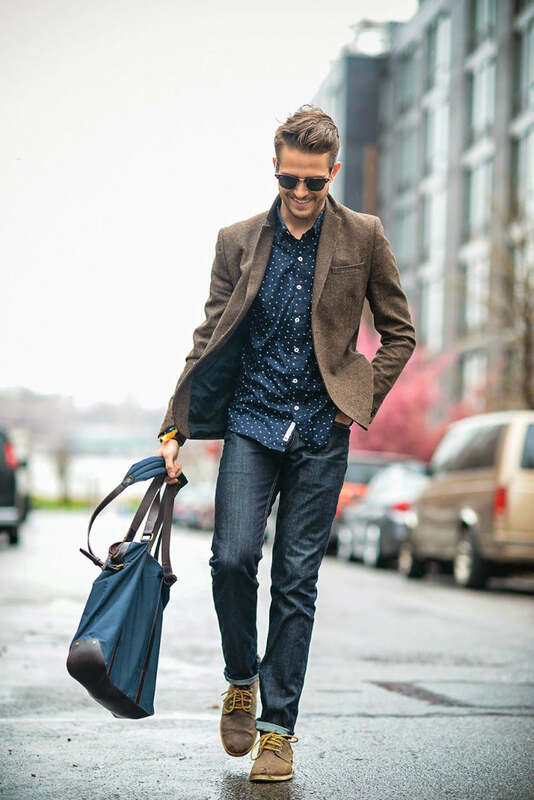 Working with both casual outfits and smart attire, you're sure to need a pair at some point in your life. So why not invest in a pair now. Read more Men's Style Guide features and check out our Store. No man's wardrobe would be complete without a good pair of brown shoes. 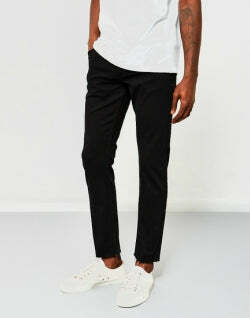 Although people often ignore them in favour of black ones they're still an excellent alternative. If you want some formal footwear that's less intense than other colours, brown is perfect. The brown can easily be paired with different coloured pieces to give a more subtle contrast. They come in a variety of styles and with the two most popular materials being leather and suede you definitely need one of each. The possibilities are endless and with this quick guide you can pull together any outfit. Brown shoes work great in a formal environment, and a pair of brogues or oxfords are perfect when paired with a smart slim fit suit. Although many people believe that wearing brown shoes with a black suit is a nightmare combination, if done correctly, it can be extremely stylish. Admittedly, wearing some with a navy or grey suit is probably an easier style to pull off, but this doesn't mean you shouldn't wear them with black. A black suit is arguably the most classic piece of formal clothing a man can own. Although wearing one with some black shoes can be an extremely professional outfit, you do have to be careful to not over do it. This is where brown shoes can be a great alternative. 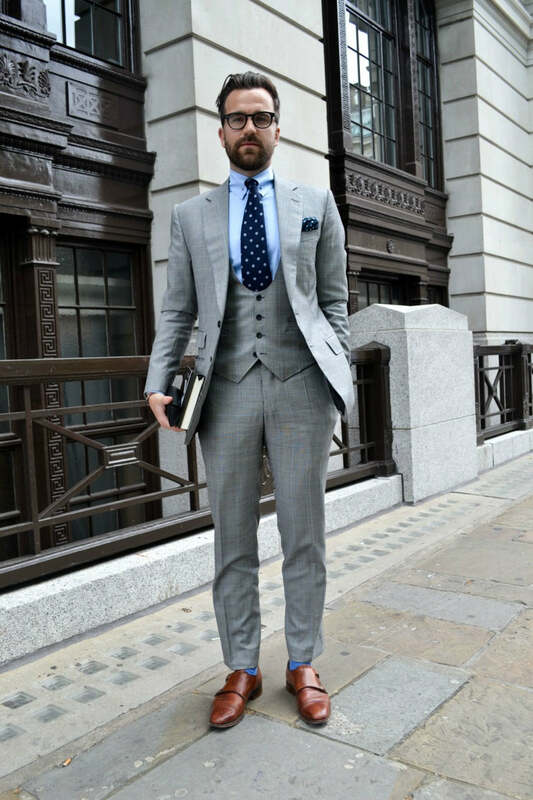 The lighter tone of the footwear takes some of the formality out of the look, whilst still retaining a smart vibe. 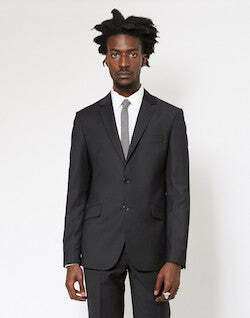 To finish off the black suit brown shoes look, wear your black slim fit suit with a crisp white dress shirt. White and black is always a winner when it comes to shirt and jacket combinations. The binary contrast between the colours is a perfect way to achieve a balance within your outfit. 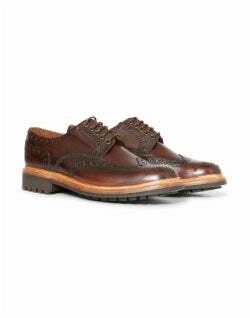 Add your pair of tan leather brogues to tone the look down and to give a more relaxing atmosphere to your attire. If you want to appear slightly more formal then you can wear a tie with your shirt, however, this outfit works perfectly on its own. 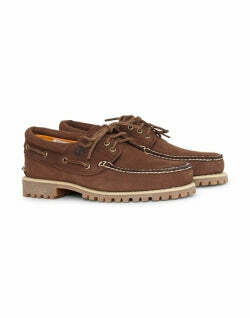 Brown footwear is also perfect for when you want a smart casual look. 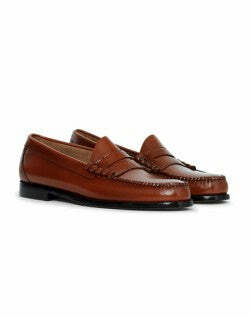 Depending on the style and material, brown shoes bring a formal feel with an added toned down aspect due to the colour. 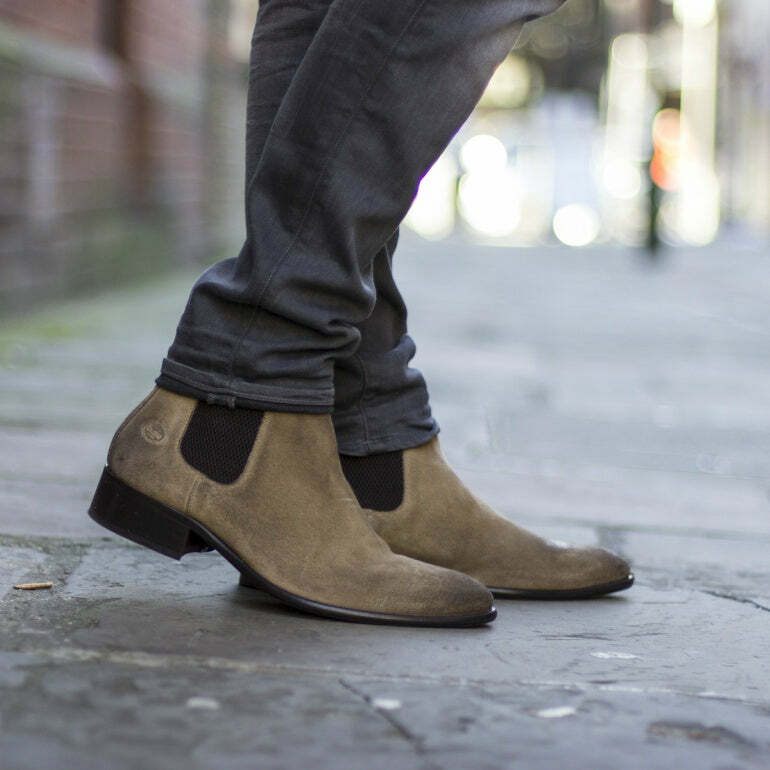 Chelsea Boots are a good style to choose as it gives you all the options to wear them both day and night. Whether you're going on a first date or just down the pub with some mates, these shoes will serve you well in any situation. 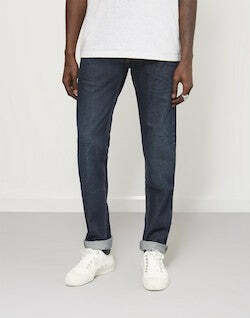 Pair with a clean white T-shirt with a pair of light blue denim jeans. This colour combination gives a cool and fresh feel to your look. Although this sounds like a pretty casual outfit at the moment, all you have to do is add some layers to make it a bit smarter. Layering your outfit is a great way to stay warm during the winter whilst also adding an extra dimension to your style. For instance, by simply wearing an overcoat you can turn this relatively casual look into one that has a distinct formality. 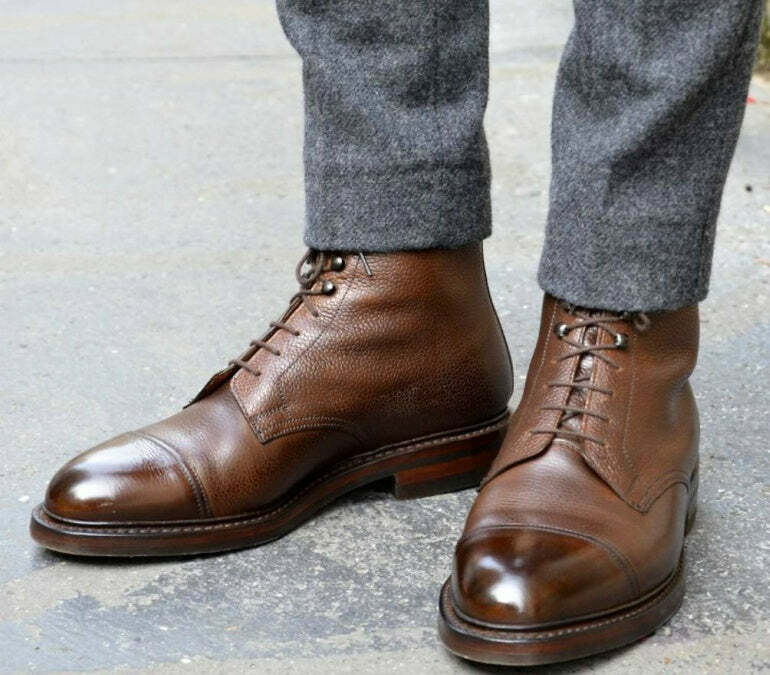 Much like wearing a black suit with brown shoes, many believe that wearing darker jeans with a pair of light brown shoes is a fashion faux pas but this is an extremely unfair assessment of a combination that can be a great smart casual look. Wearing these two colours is an excellent way to get a rustic casual look. With the increasing popularity of a masculine lumberjack style, wearing clothes with a bit of attitude is definitely in style. All you need is a beard and a guitar and you'll basically be a member of Mumford and Sons. Why don't you try wearing a dark blue denim shirt with a pair of skinny black jeans. Double denim can be an extremely tricky combo to pull off because sometimes it can be a loud and pretty horrible outfit. However, as long as you make sure the pieces are in contrasting shades of denim, then the balance within the outfit will take attention away from the fact that you're wearing the same material. Combine this look with a pair of dark brown leather boots. 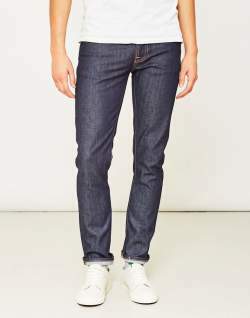 If you cuff or pin-roll your jeans then you can show off more of your footwear and create a slightly smarter outfit. However, the boots on their own are enough to add some rustic detail to your look. As this is a relatively simple outfit, so don't be afraid to accessorise with some sunglasses, a hat or watch. One of the most unique things about brown footwear is the large variety of shades and tones that they can come in. Unlike black shoes that have the restriction of only being one colour, tan ones have the opportunity of being light, dark, and everything in between. Although a darker shade of footwear is easier to wear with more things, this doesn't mean that lighter ones aren't a great style of shoe. However, as long as you spend a bit of time and effort on what you're wearing, a lighter brown can be an excellent alternative. 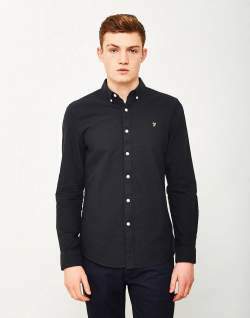 If you're going to any summer parties this year then you'll probably want a light and breathable outfit that's still got an aspect of formality to it. The best way to achieve this is with a pair of brown shoes and black trousers. The shoes you want to go for are either Chelsea boots or loafers, depending on what time of the year it is. Trousers or chino's are a good smart casual piece that works well for both formal and casual occasions, it just depends what you pair them with. 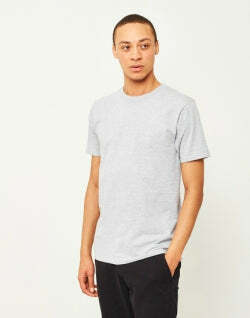 A shirt and jumper will give you a formal edge whereas a hoodie or sweatshirt will make the outfit a lot more casual. 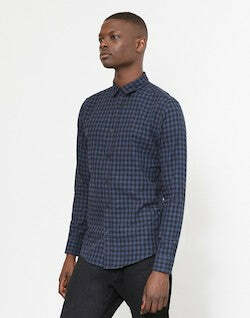 Loafers work well with the shirt option and is ideal for a summer wedding. 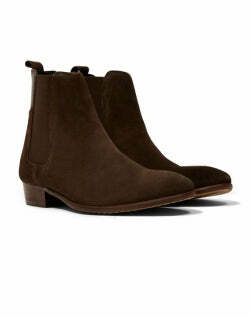 For the colder months, a brown pair of suede Chelsea boots will keep your outfit smart but not to over the top. The one thing that's going to ruin an outfit, no matter what style you're going for, is dirty or cracked shoes. You wouldn't go out with dirty white trainers, so there's no reason you should neglect your brown shoes either. Of course there's different ways you should care for shoes depending on what type they are. Leather and suede are clearly polar opposites, so apart from the obvious - no jumping in dirty puddles - there are different ways in which to keep your shoes sleek and clean. Begin by removing any loose dirt on the outside of the shoes with a clean cloth. Once your shoes are ready, apply the shoe polish with an applicator brush. Make sure the brush is clean and doesn't already have a different colour of polish on it. Once you have applied the polish, leave it to set into the leather for ten minutes. Use a clean shoe brush to remove any excess and to buff the shoes. Finally, quickly rub using a clean soft cloth to shine the shoes. Once you've got your shoes all polished, you can wear them with style and confidence. First of all, use a shoe brush to remove any loose dirt from the surface of your shoes. If there are any deep set scuff marks or dirt then use a suede rubber or a nail brush to disturb the nap of the fabric. Next, take a suede brush and restore the material by brushing the nap up. 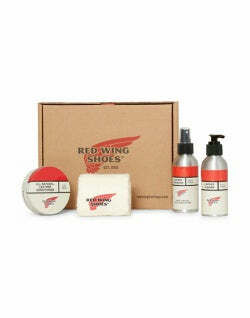 Finally, to maintain and protect your shoes in future, spray them with a suede protector. 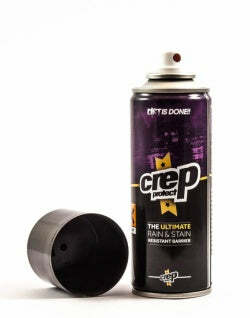 Crep Protect is probably the best product for this. To apply the product, shake the can and cover the entire shoe from a distance of about 10cm. If you really want to prepare properly then it's a good idea to apply Crep Protect before you even wear the shoes for the first time. Leather and suede are the top materials when it comes to brown shoes, so having one of each is a good investment. 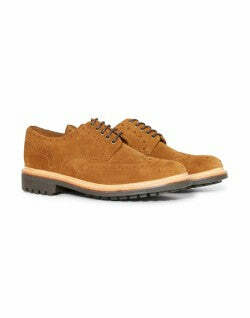 Brown leather shoes are a smart way to dress up a smart casual outfit for both day and night wear. Brown smart shoes and a suit works well if you want a cool alternative to your standard black pair. 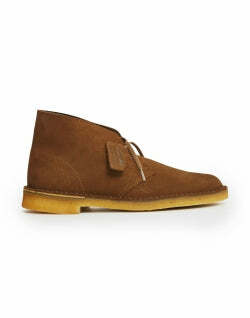 Suede shoes are a good summer essential, the brown tones and soft material give off a casual look. Always make sure your shoes are protected. Whether they're leather or suede, it's a good idea to clean them regularly.